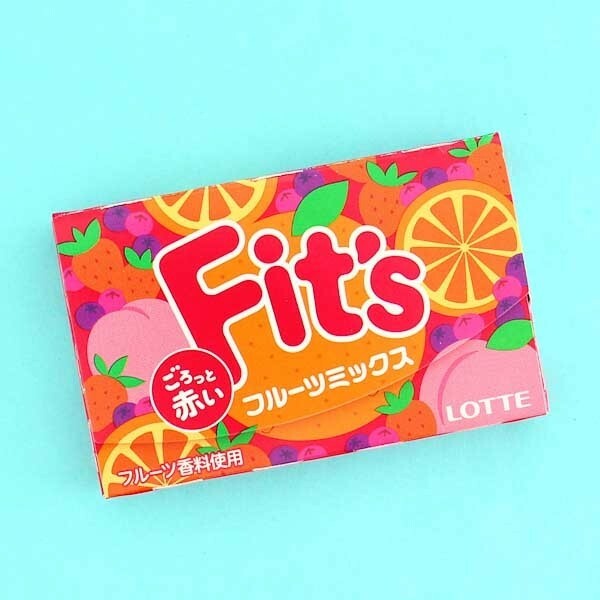 Lotte Fit's is a super popular chewing gum brand in Japan and no wonder - the fun name "Fit's" comes from the fact that the gum fits into your daily life! The gums have a fresh mix fruit flavor and sweetly soft texture which is super easy to chew! 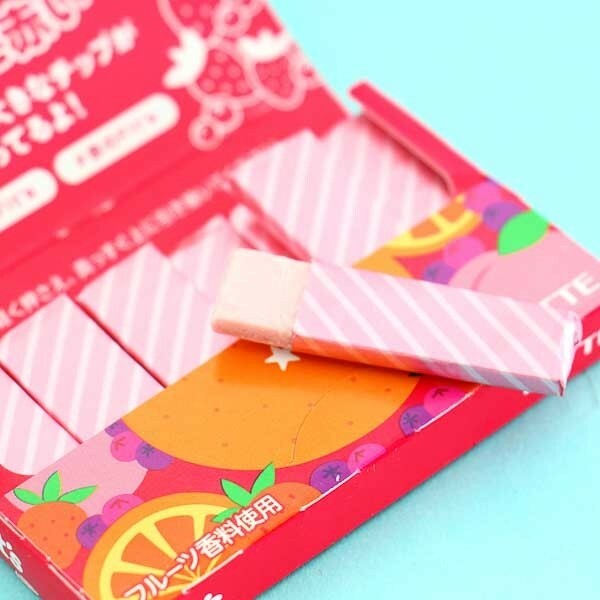 The cute flip-top pack has 12 individually wrapped gums which are easy to open and take anywhere thanks to the handy package! 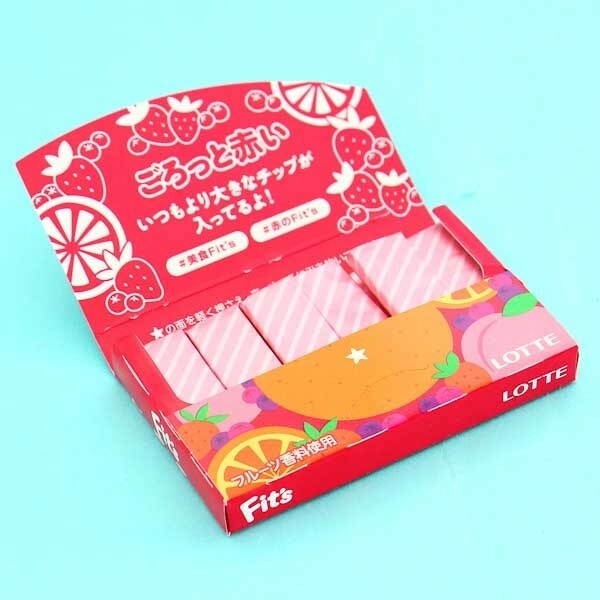 These are must-try for all Japanese culture and treat fans!